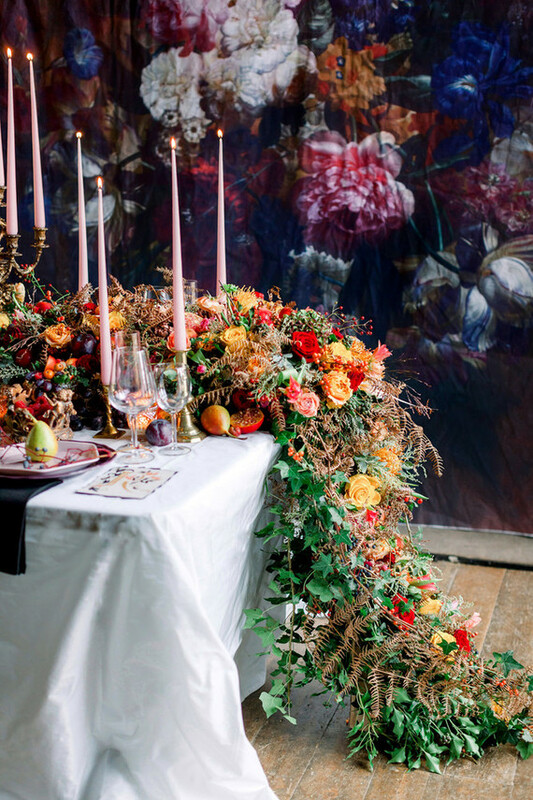 This may come as a surprise, but some of the most unique event designs we’ve seen are inspired by iconic painters, from Frida Kahlo all the way back to 17th century Dutch masters. It’s pretty incredible how a single painting or series of paintings can inspire a modern day wedding. On the concept… The inspiration comes from the work of one of the last Pre-Raphaelites, Sir Edward Coley Burne-Jones, who brought imaginary worlds to life in awe-inspiring paintings, stained glass windows and tapestries. He created spectacular works depicting Arthurian knights, classical heroes and Biblical angels?working across painting, stained glass, embroidery, jewellery and more. With his friend William Morris, he was a pioneer of the arts and crafts movement, which aimed to bring beautiful design to everyone. Two of Burne Jones? most famous cycles of paintings have been united for the first time in an exhibition at Tate Britain, with one series drawing from Sleeping Beauty.